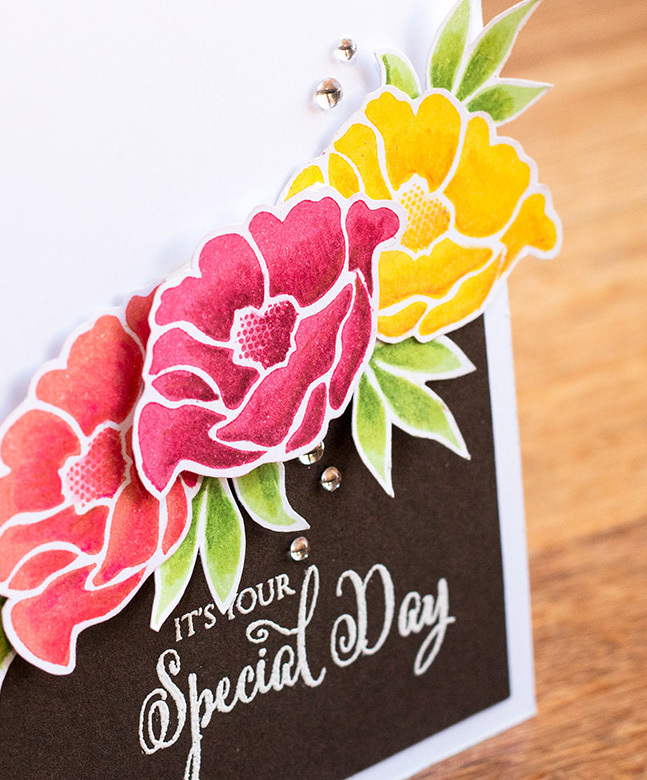 Just stopping by to let you know I have a new card up on the Simplicity at its Best blog. 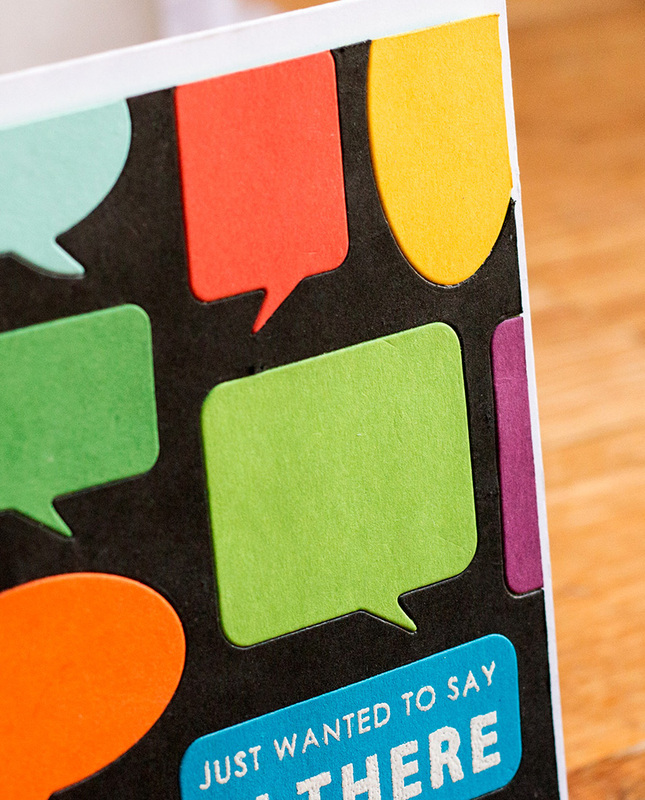 Head to the site for the full reveal and instructions. Hello. 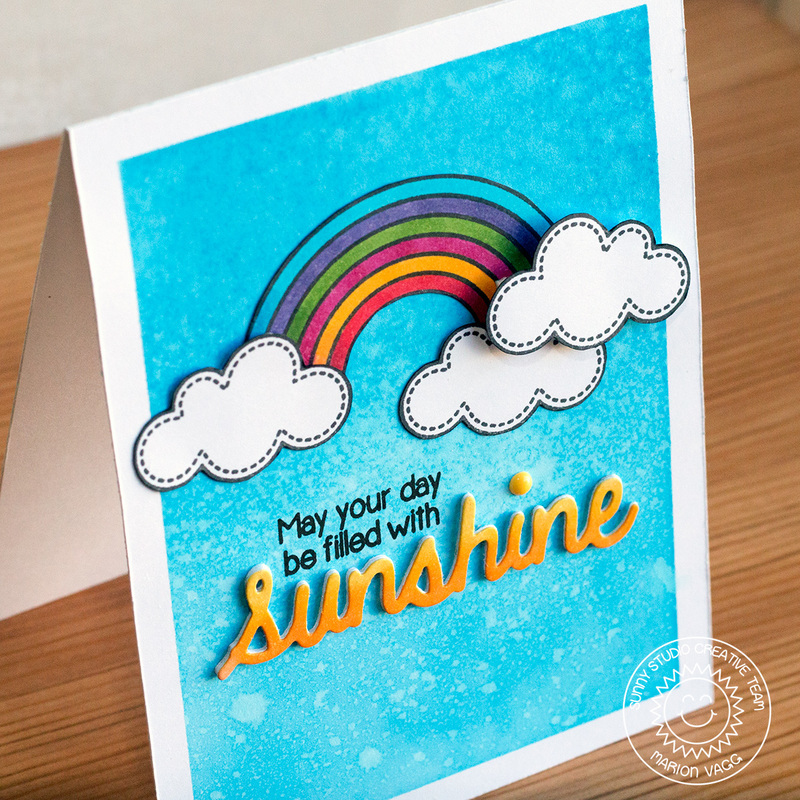 Today I have a Sunny Studio card to share with you that would brighten anyone’s day. Who doesn’t love a rainbow? 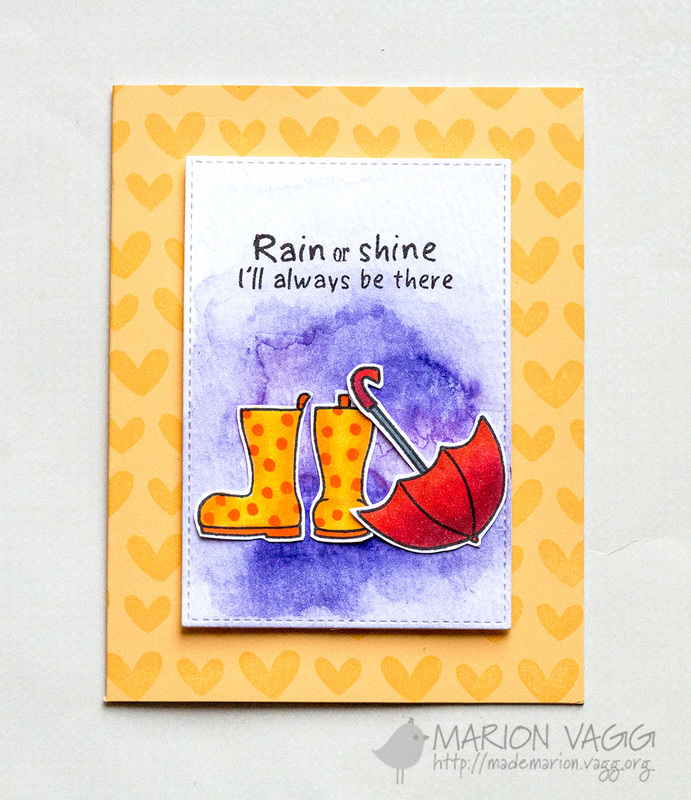 This card was made using the Rain or Shine set along with the Sunny Sentiments set. And don’t you just love the Sunshine word die? To create the sky I sponged on some Distress ink then spritzed it with a mini mister. I then mopped up the excess with a paper towel. 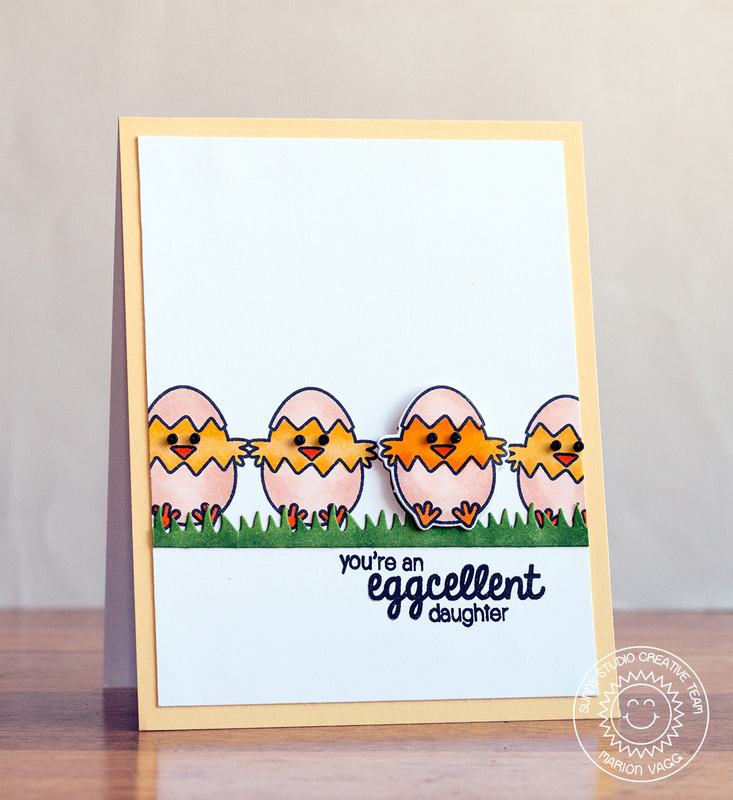 I’m dropping by today with a card that was over on the Jane’s Doodles blog earlier this week. 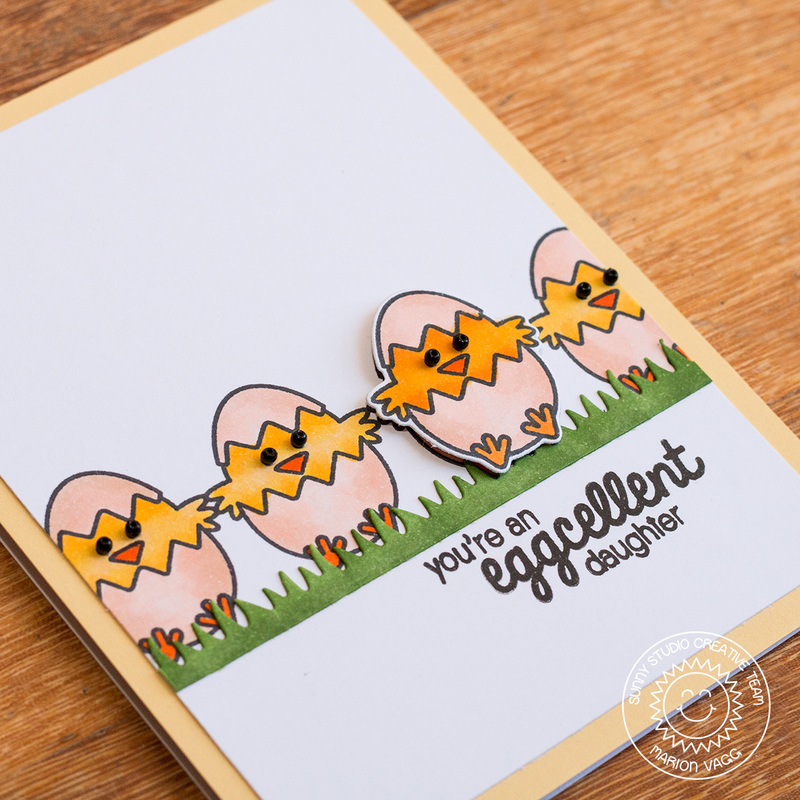 It uses the Rain or Shine stamp set and I created the tone on tone background with some love hearts from the Love Birds stamp set. 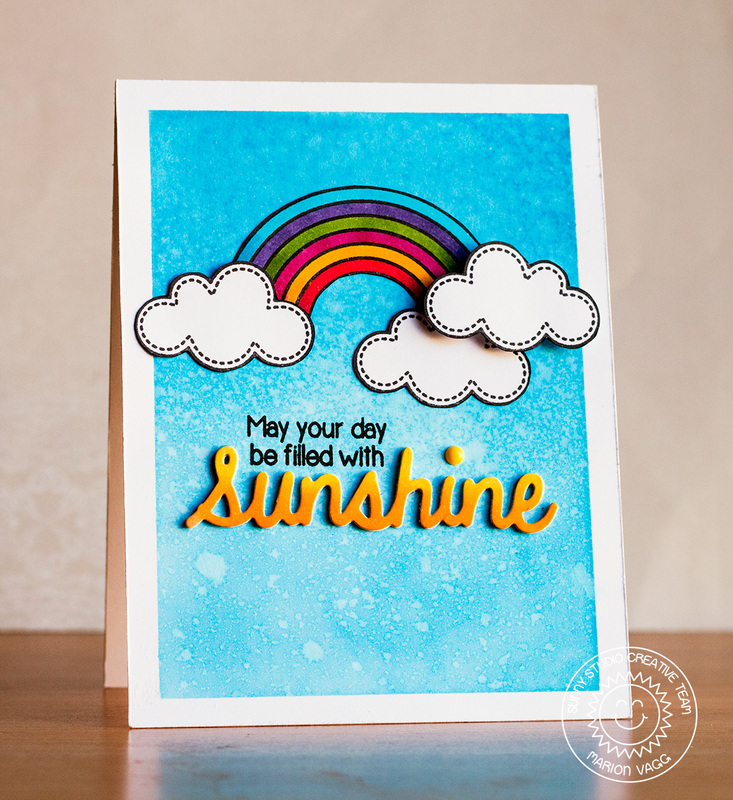 I’m feeling a little under the weather this week, so I’m popping in super quick with my Sunny Studio card.